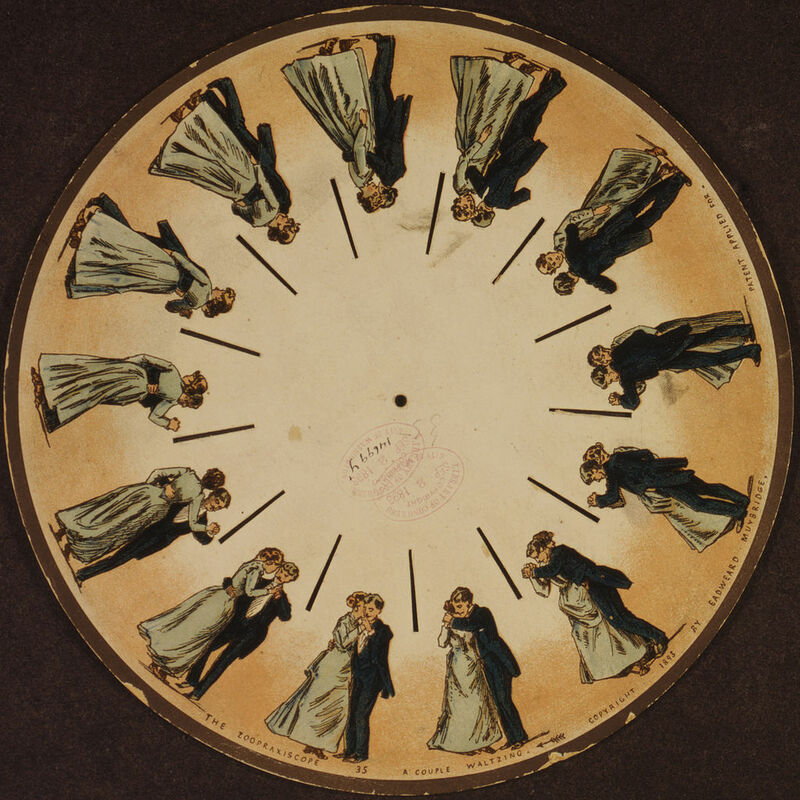 The phenakistoscope is an early animation device. Disc by Eadweard Muybridge (1893). There were variations on the device, but the principle is of a spinning wheel with slots between the images, as you see above. Note the hole in the middle where a handle attaches. Say you face a mirror and hold the disc in front of you. Spin the disc and look through the slots. You catch each image as it whizzes by, and the persistence of vision creates the moving picture. Please DO Touch. 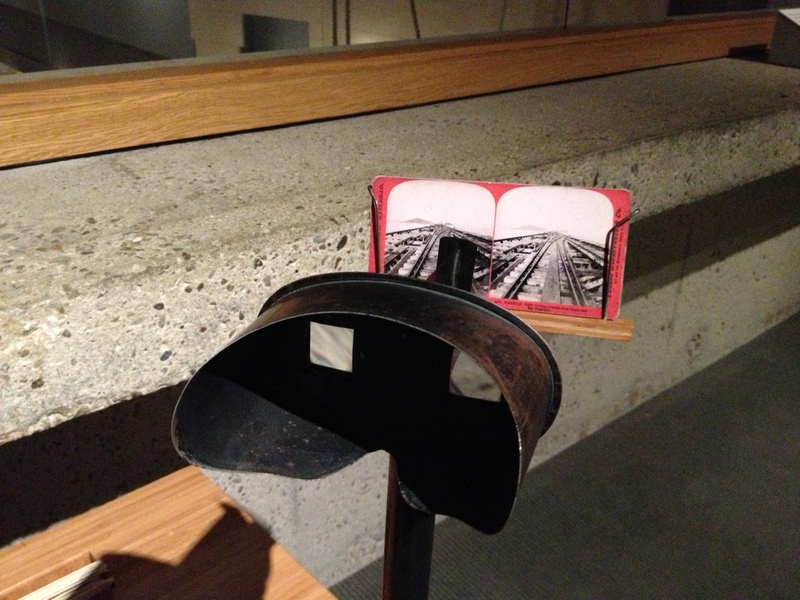 Museums encourage visitors to handle and look through antique stereoscopes, to see photos rendered in 3-D. 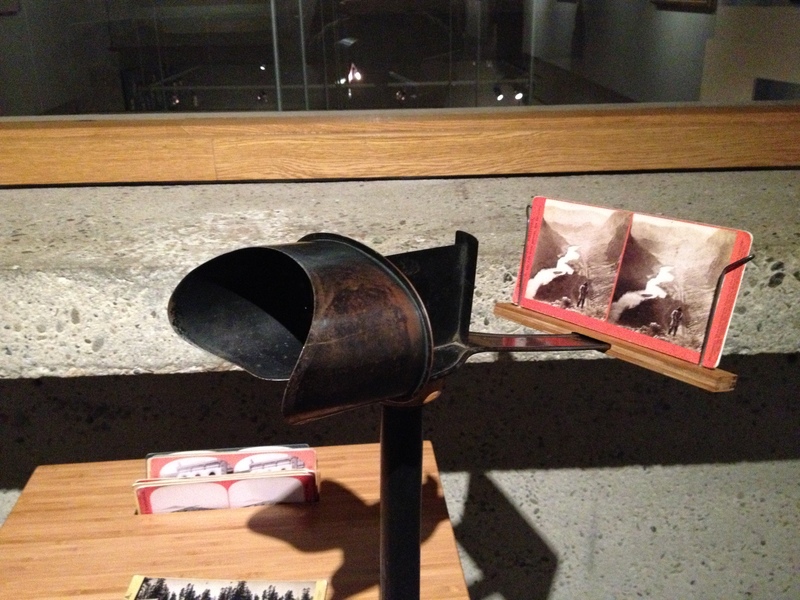 In the age before radio and television, the stereoscope was very popular. Families had one in the parlor, along with many black-and-white photos, two identical photos on a single card. They bought the cards with the double images on them. If you see one in a museum, pick it up and pull the photos toward or away from you until the image pops — they may be black and white photos, but the 3-D effect is vivid. Many of the photos are landscapes with depth, like the photos here. The one directly above shows a river in a canyon. Most folks could not travel far, but a collection of these images from many places would be fun, and your friends would have a different collection in their home.